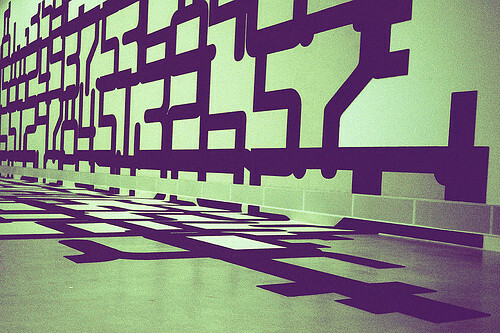 Coding style is how your code looks, plain and simple. And by “your,” I actually mean you, the person who is reading this article. Coding style is extremely personal and everyone has their own preferred style. You can discover your own personal style by looking back over code that you’ve written when you didn’t have a style guide to adhere to. Everyone has their own style because of the way they learned to code. If you used an integrated development environment (IDE) like Visual Studio to learn coding, your style probably matches the one enforced by the editor. If you learned using a plain text editor, your style likely evolved from what you thought was more readable. The personal nature of coding style is a challenge in a team atmosphere. Oftentimes, seeking to avoid lengthy arguments, teams defer creating style guides under the guise of not wanting to “discourage innovation and expression.” Some see team-defined style guides as a way of forcing all developers to be the same. Some developers rebel when presented with style guides, believing that they can’t properly do their job if someone is telling them how to write their code. I liken the situation to a group of musicians trying to form a band. Each one comes in believing that their way of doing things is best (their “method” or “process”). The band will struggle so long as everyone is trying to do their own thing. It’s impossible to create good music unless everyone in the band agrees on the tempo, the style and who should take lead during a song. Anyone who has ever heard a high school band perform knows this to be true. Unless everyone is on the same page, you aren’t going to accomplish much. That’s why I strongly recommend style guides for software development teams. 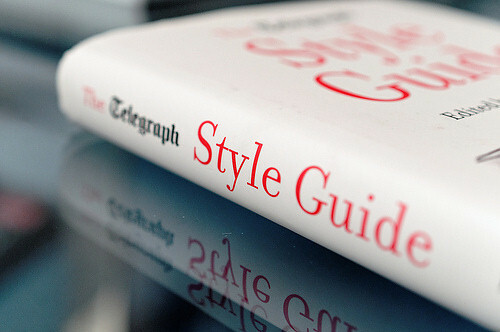 Getting everyone on the same page is difficult, and the style guide is a great place to start. By having everyone write code that looks the same, you can avoid a lot of problems down the road. 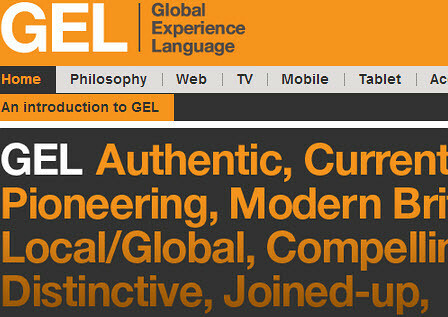 Not only designers can use style guides to ensure consistent visual design and informed design decisions (like in BBC’s GEL example above). We could use them on the macrolevel as well: for the little fine details in our code. When you start thinking of code as communication with other developers, you start to realize that you’re not simply writing code, you’re crafting code. Your code should clearly communicate its purpose to the casual observer. Keep in mind, your code is destined to be maintained by somebody other than you. You are not just communicating with other members of your team in the present, you’re also communicating with members of your team in the future. I recently received an email from someone who is working on code that I wrote 10 years ago. Apparently, much to my shock and horror, my code is still being used in the product. He felt compelled to email me to say that he enjoyed working with my code. I smiled. My future teammate actually did appreciate the coding style I followed. Knowing yourself is important in life as well as coding. However, you’ll never know yourself well enough to remember exactly what you were thinking when you wrote each line of code. Most developers have experienced looking at a very old piece of code that they wrote and not having any idea why they wrote it. It’s not that your memory is bad, it’s just that you make so many of these little decisions while writing code that it’s impossible to keep track of them all. Writing code against a style guide outsources that information into the code itself. When you decide when and where to use comments, as well as which patterns should and shouldn’t be used, you are leaving a breadcrumb trail for your future self to find your way back to the meaning of the code. It’s incredibly refreshing to open up an old piece of code and have it look like a new piece of code. You’re able to acclimate quickly, sidestepping the tedious process of relearning what the code does before you can start investigating the real issue. The first case falls through into the second case so if value is 1, then both doSomething() and doSomethingElse() are executed. And here’s the question: is there an error here? It’s possible that the developer forgot to include a break in the first case, but it’s also equally possible that the developer intended for the first case to fall through to the second case. There’s no way to tell just from looking at the code. If the first case wasn’t supposed to fall through, then it should end with a statement such as break. In either case, the original code is wrong according to the style guide and that means you need to double check the intended functionality. In doing so, you might very well find a bug. In working with clients to develop their code style guides, I frequently get asked if the minutia is really that important. A common question is, “aren’t these just little details that don’t really matter?” The answer is yes and no. Yes, code style doesn’t really matter to the computer that’s running it; no, the little details matter a lot to the developers who have to maintain the code. Think of it this way: a single typo in a book doesn’t disrupt your understanding or enjoyment of the story. However, if there are a lot of typos, the reading experience quickly becomes annoying as you try to decipher the author’s meaning despite the words being used. Coding style is a lot like that. You are defining the equivalent of spelling and grammar rules for everyone to follow. Your style guide can get quite long and detailed, depending on which aspects of the language you want to focus on. In my experience, once teams get started on coding style guides, they tend to go into more and more detail because it helps them organize and understand the code they already have. I’ve never seen a coding style guide with too much detail, but I have seen them with too little detail. That’s why it’s important for the team to develop a style guide together. Getting everyone in the same room to discuss what’s really important to the team will result in a good baseline for the style guide. And keep in mind, the style guide should be a living document. It should continue to grow as the team gets more familiar with each other and the software on which they are working. Eclipse Code Formatter The Eclipse IDE has built-in support for code formatting. You can decide how specific languages should be formatted and Eclipse can apply the formatting either automatically or on demand. CSS Lint A CSS code quality tool by Nicole Sullivan and me that also checks for stylistic issues. Checkstyle A tool for checking style guidelines in Java code, which can also be used for other languages. These are just a small sampling of the tools that are currently available to help you work with code style guides. You may find it useful for your team to share settings files for various tools so that everyone’s job is made easier. Of course, building the tools into your continuous integration system is also a good idea. It’s important that everybody on the team participates in creating the style guide so there are no misunderstandings. Everyone has to buy in for it to be effective, and that starts by letting everyone contribute to its creation.